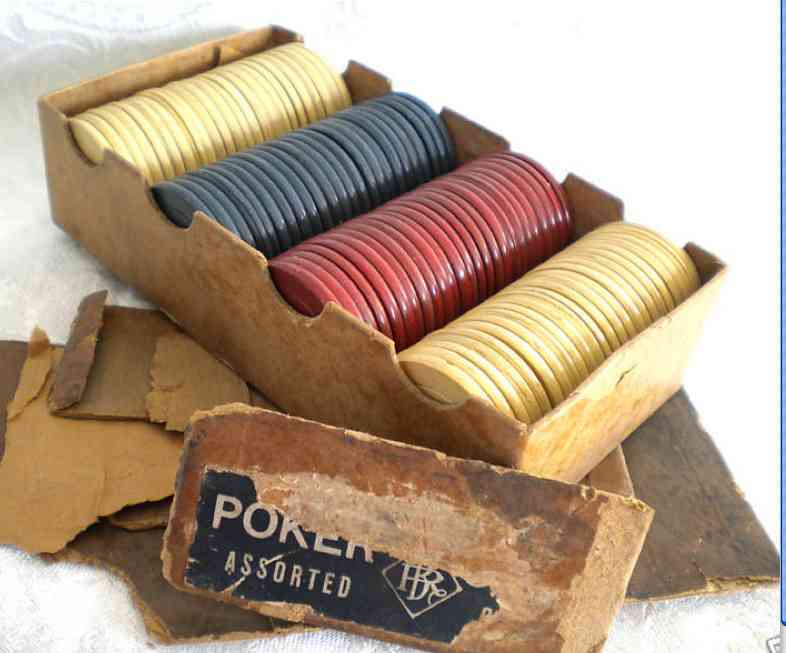 Presented here is the clever way one manufacturer sold poker chips 100 years ago, maybe with future chip collectors in mind. I recently (March 2010) bought this neat box of chips for $35. The chips must be original to the box (picture of box is below). Everything about the chips is uniform (with one exception) -- same color shade, size, type, etc. The exception is that there are 15 different designs of chips in the box. The label says "Assorted," and that usually meant assorted colors of chips (say, red, white and blue chips). I never saw a box of chips like this before. The chips are a good 100 years old. 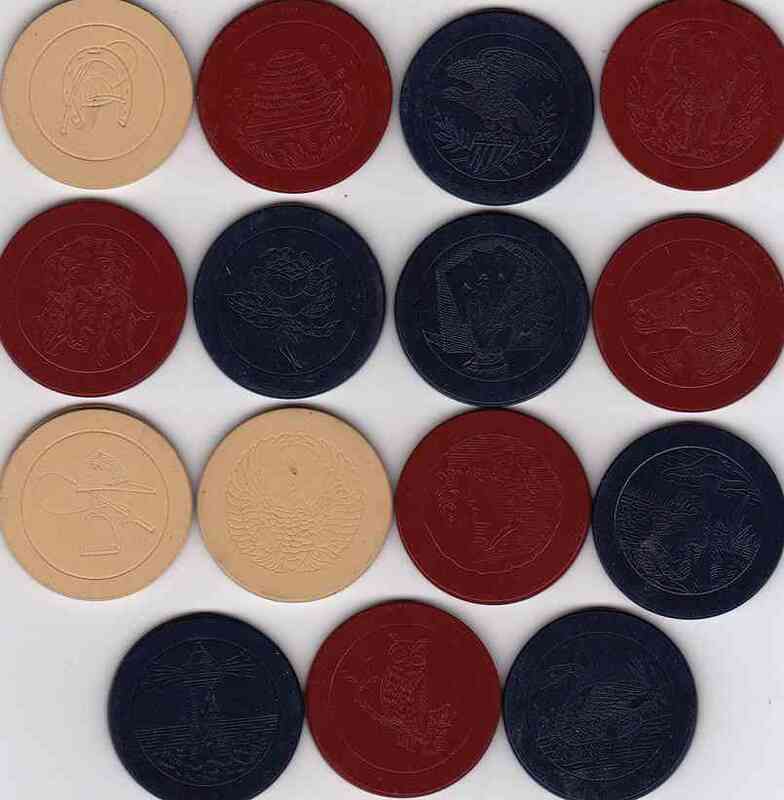 Some of the designs are somewhat scarce, none "rare." In the old catalogs these 1-1/2" chips were called "engraved" and advertised as the most inexpensive clay chips the company sold. No off-color paint/ink was applied to the engravings to make the designs more visible, which I guess was a good thing for a poker game, as the chips would be less distracting than if the designs were more prominent.